We are submitting a proposal to DML2005 to lead a workshop on “Designing Your Personal Learning Trajectory.” This interactive workshop will explore issues related to supporting learners’ lifelong process of designing their own personal learning trajectory. 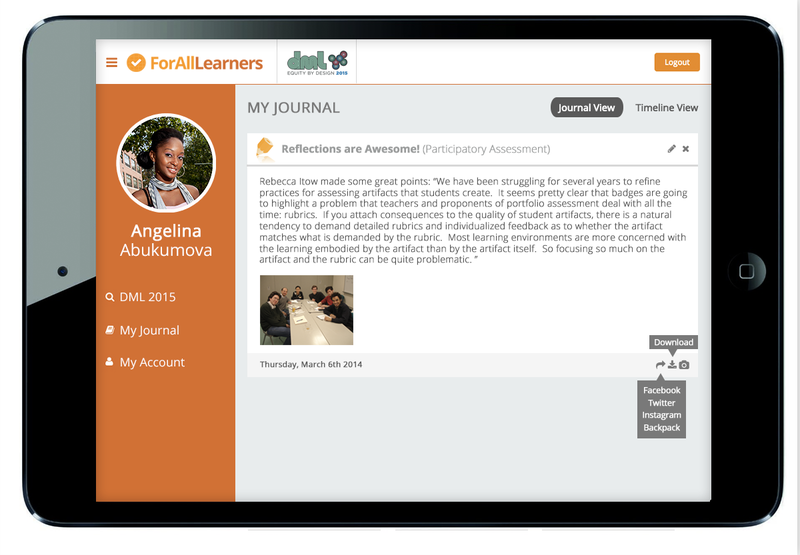 We will use our web app ForAllLearners as an example of how technology can be designed to serve as a GPS for helping learners reflect on where they have been and plan for where they want to go. Some of the topics for discussion will include the following. What are some effective approaches that learners use in constructing their personal learning trajectory? What are some benefits and difficulties of these approaches? 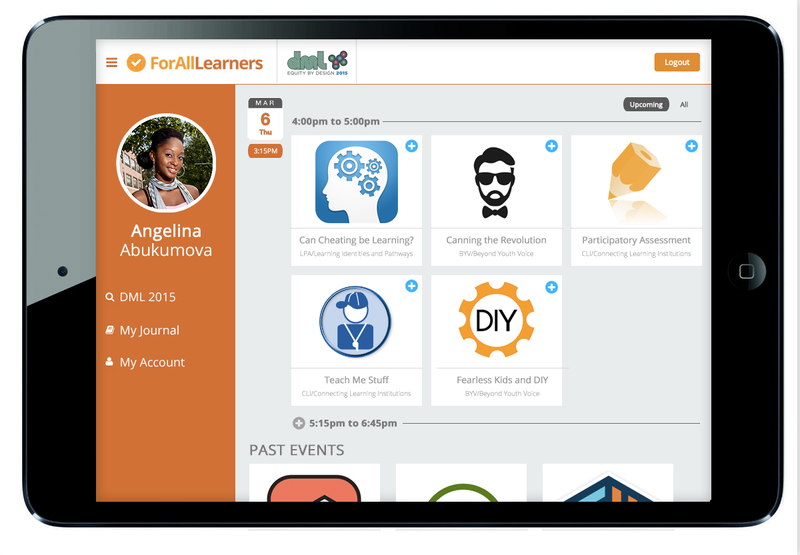 What are effective ways that the connected context of available learning opportunities can be presented to learners? What learning artifacts and reflections are helpful in supporting the planning and achievement of learner’s personal learning goals? 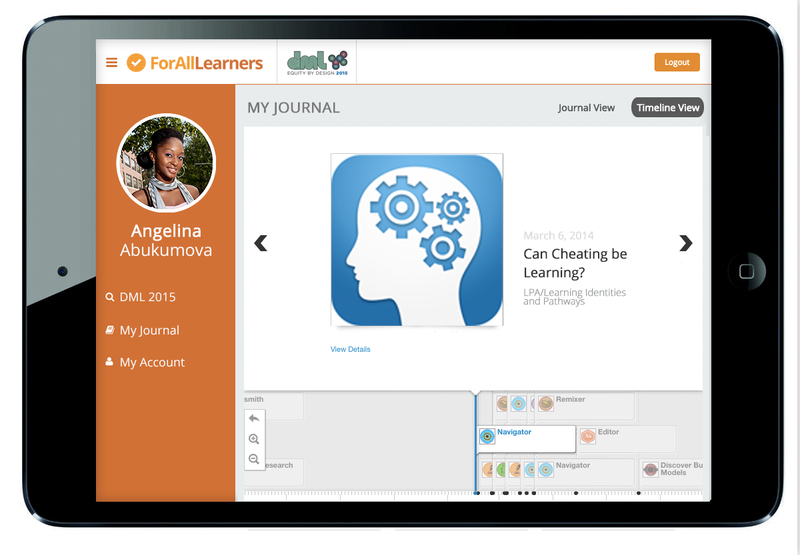 ForAllLearners is a tool we’ve been working on to support a learners’ own lifelong process of designing their personal learning trajectory. We welcome all feedback and discussions around ForAllLearners and supporting learners. (3) plan their next steps in pursuing their passions and interests to construct a path toward the life they want to live and the person they want to be. Badging as credentialing supports learning from the point of view of employers, schools and others that control opportunities. 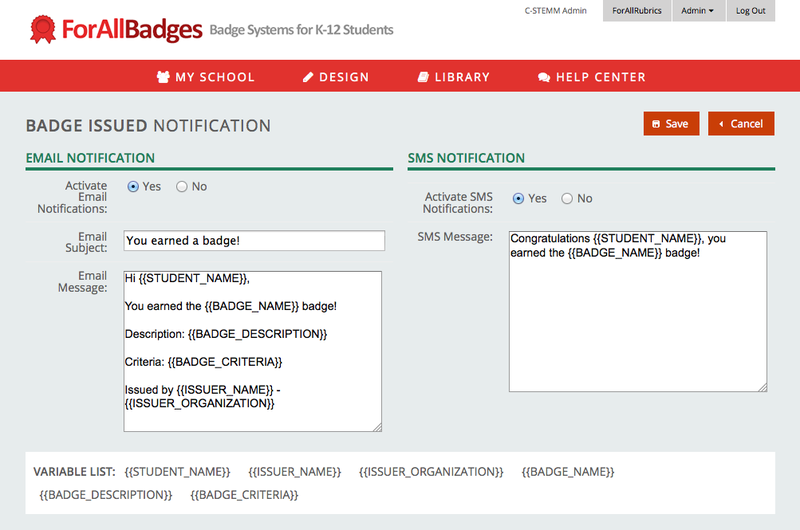 By specifying what credentials are desirable for a job, school admission or program participation, badges provides a way for these organizations to communicate what skills they believe are valuable. Badging for learning supports learning from the point of view of teachers. By sharing the teacher’s perspective on a learner’s progress, badges provide learning artifacts and milestones to guide the learner as they participate in a learning activity. 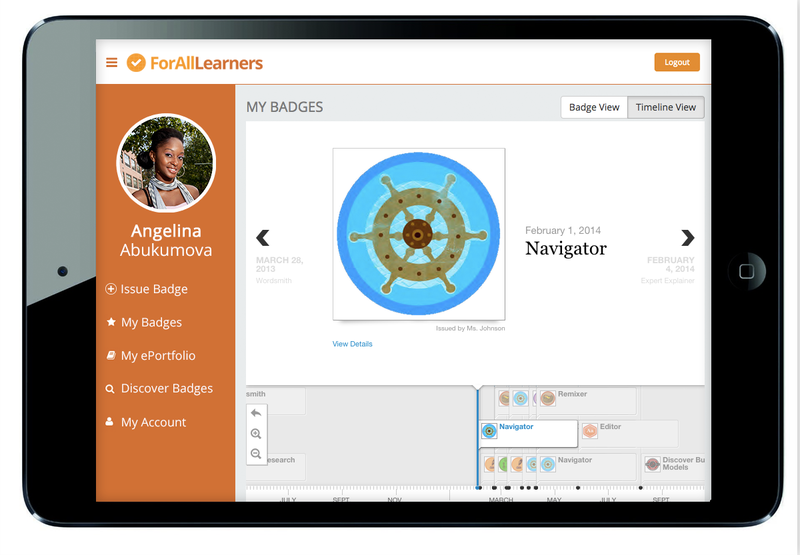 Badging as lifelong learning supports learning from the point of view of learners. 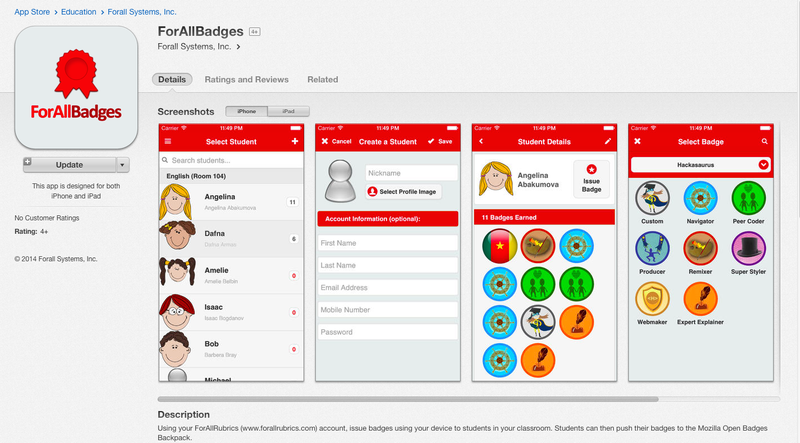 By helping learners record, reflect and plan their learning experiences, badges provide a way for learners to take ownership of their own lifelong learning. 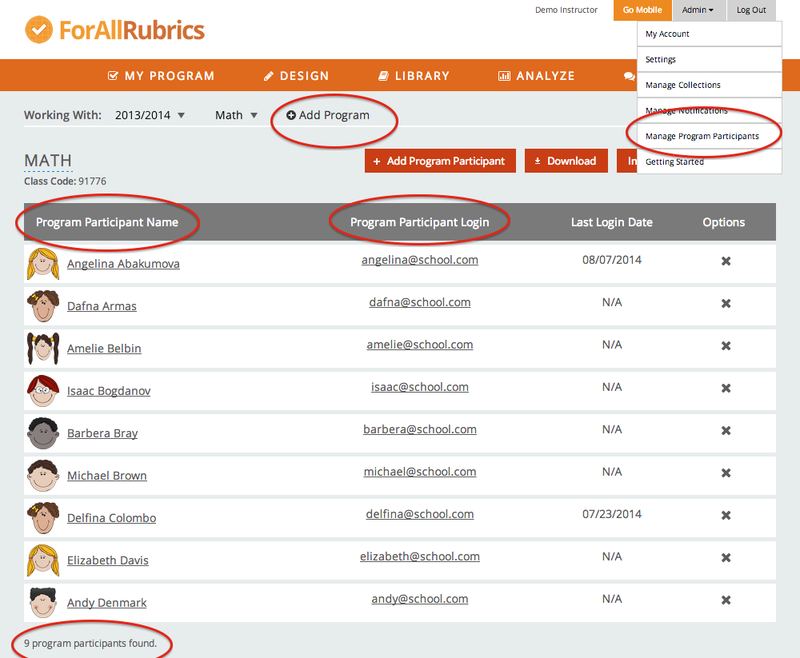 As more informal learning programs, teacher development programs and other learning organizations are starting to use ForAllRubrics, the labels that we use throughout ForAllRubrics (District, School, Class, Teacher, Student) are not always appropriate. 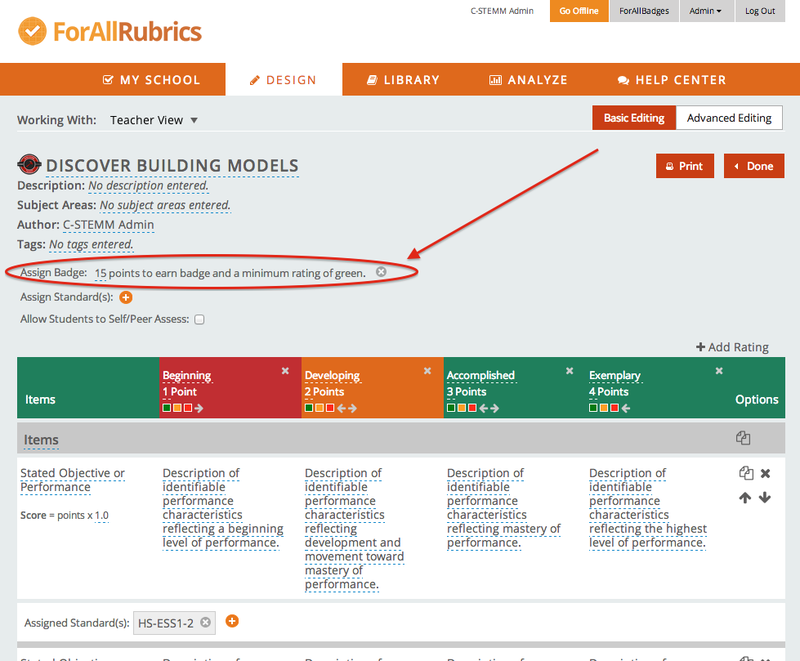 We’ve added the ability for administrators to customize the labels that are used through out ForAllRubrics to be appropriate for their own organization. 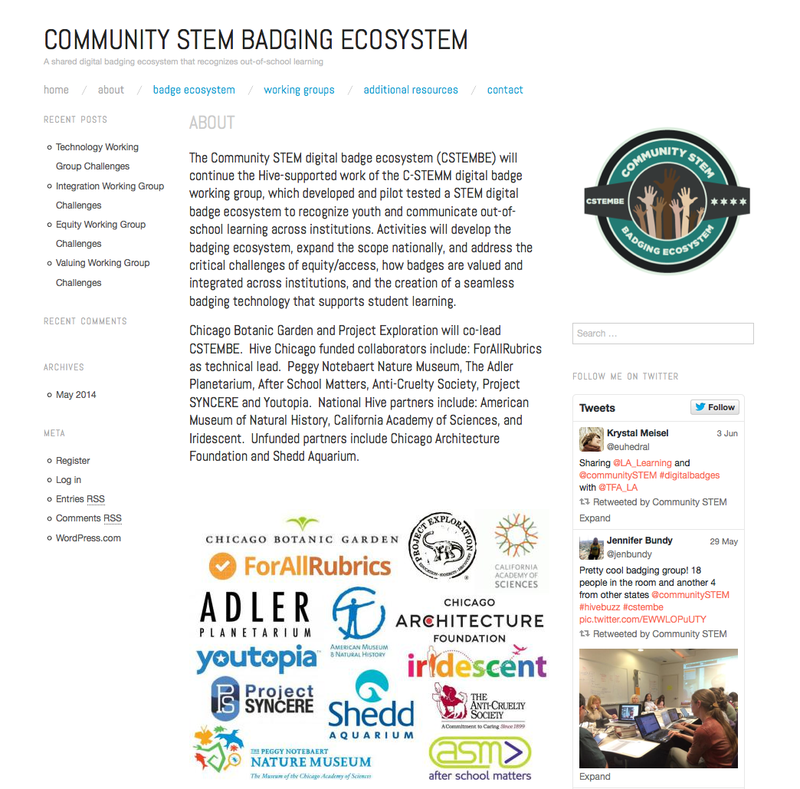 In case you didn’t already notice, we love being part of the Community STEM Badging Ecosystem (CSTEMBE) group. We are so proud to support the amazing work the group is doing. 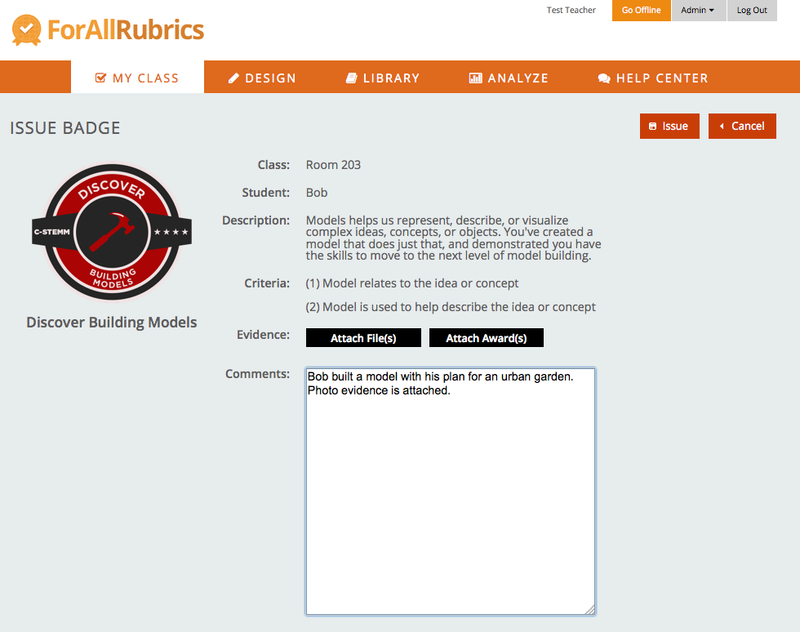 We are releasing a major update to ForAllRubrics this Sunday, July 13th. 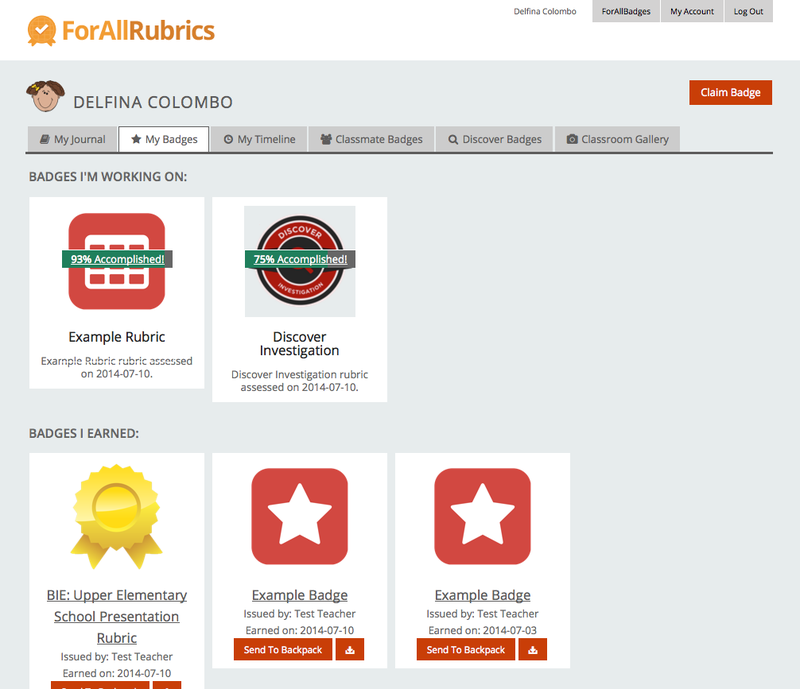 This update will combine all of the capabilities of the current versions of both ForAllRubrics and ForAllBadges into one integrated Rubric & Badging platform. 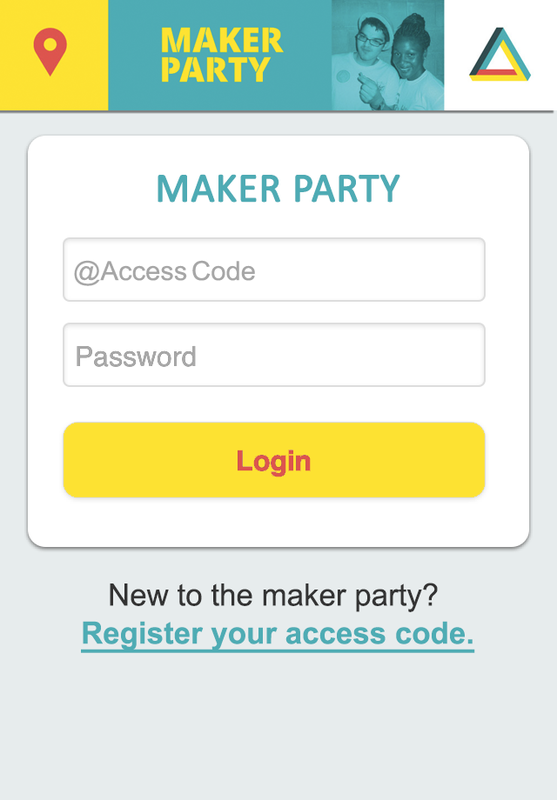 ForAllBadges will no longer exist as a separate product. Below is the overview of the integration. 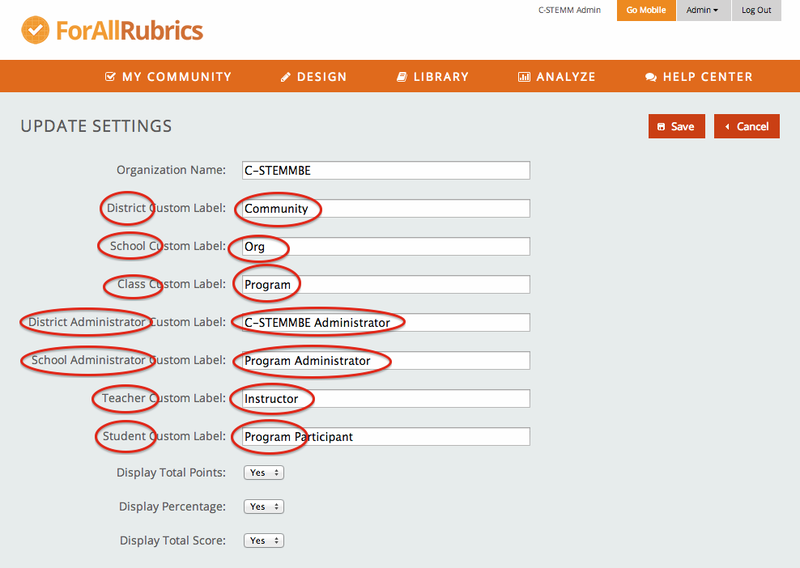 We now support competency-based assessment with a choice of 3 types of scoring: Rubric, Checklist or Basic Badge. 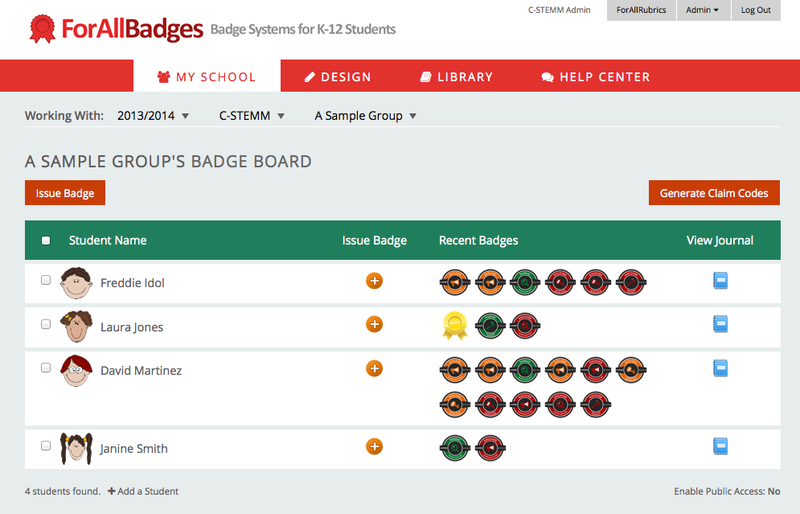 No matter what form of scoring you choose, all assessment data collected can be viewed as an open digital badge. 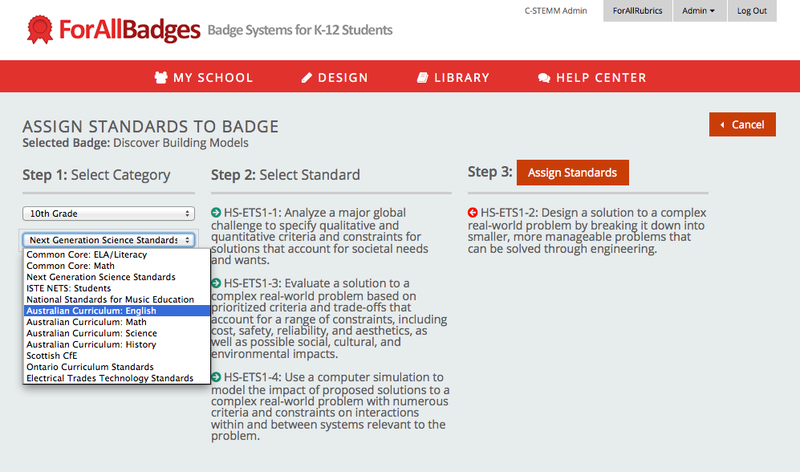 While designing your assessments, you can choose to see an overview of all your assessments by viewing the badge images. 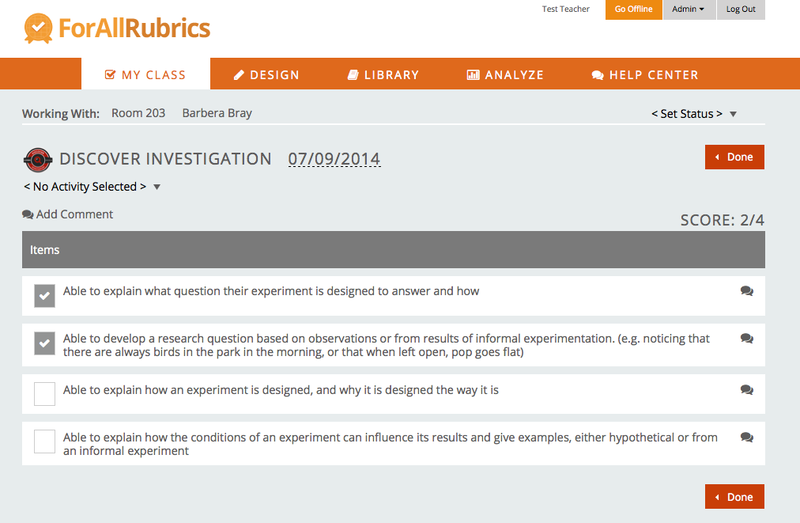 Or you can choose to view and manage the details of your assessments in list view. 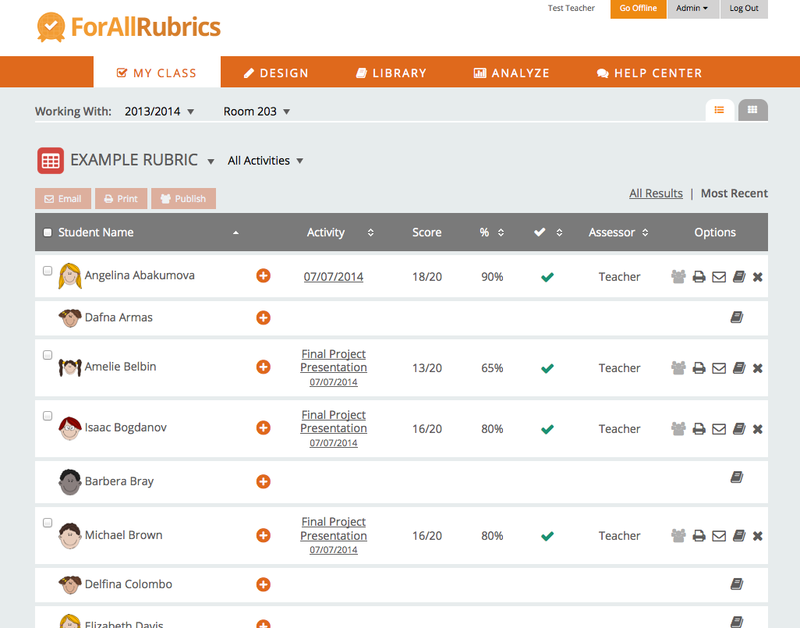 While viewing your class, you can choose to see an overview of how your students are making progress towards reaching competency on all assessments. Or you can choose to focus on one assessment, view details of each student’s performance and manage communication with students and their parents. When a badge is issued, it signifies that a student has achieved competency according to the criteria described in the badge definition. 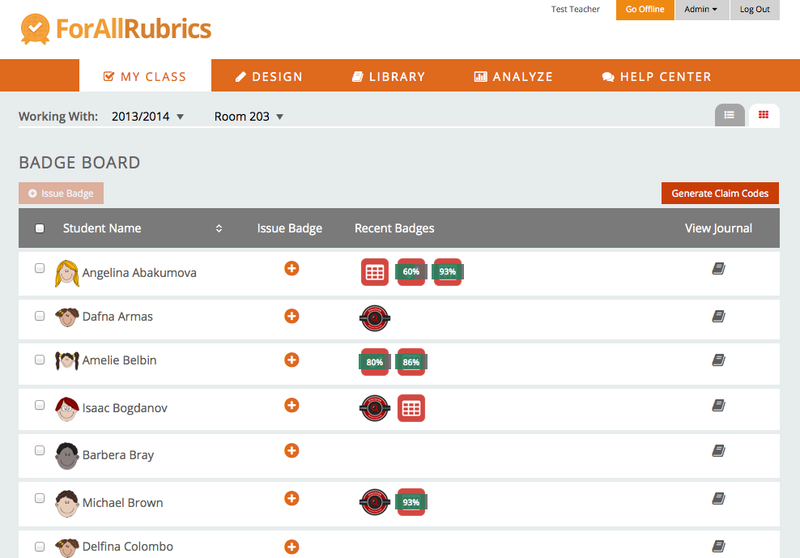 When a list is scored, each checked item signifies that the student has reached competency for that item. When all items are checked, the student has achieved competency and the corresponding badge is issued to the student. 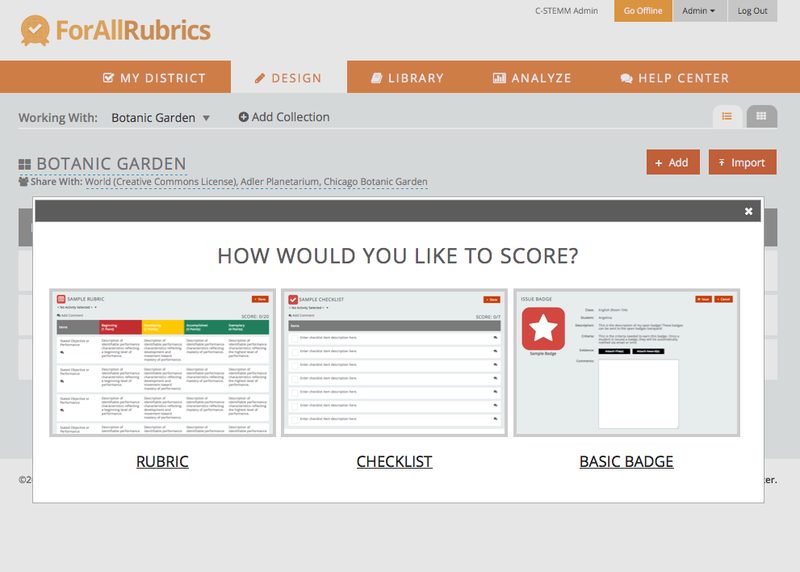 When a rubric is scored, each score that is in a “green” rating signifies that the student has reached competency for that item. When all items are scored with “green” ratings, the student has achieved competency and the corresponding badge is issued to the student. 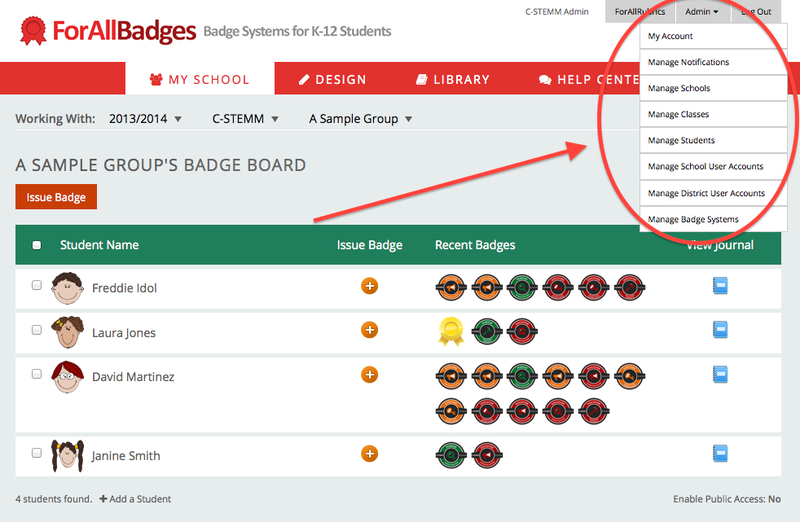 When students login, no matter what scoring method you have chosen, they first see a badge view that shows them their progress toward reaching competency. They can click on their badge to see the scoring details. 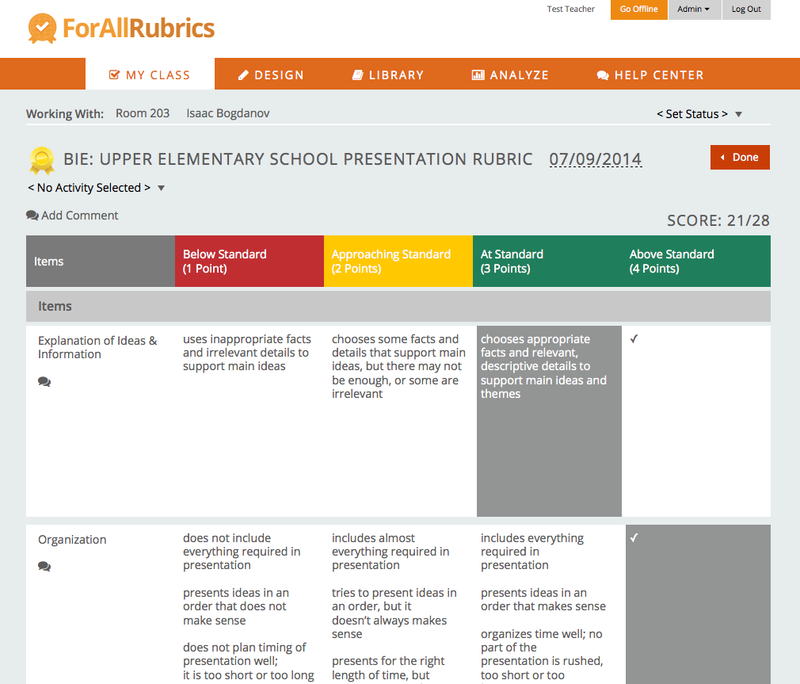 We hope you’re as excited about this new version of ForAllRubrics as we are! There are lots of other new features as well and we will be following up with more information on the details. 4. 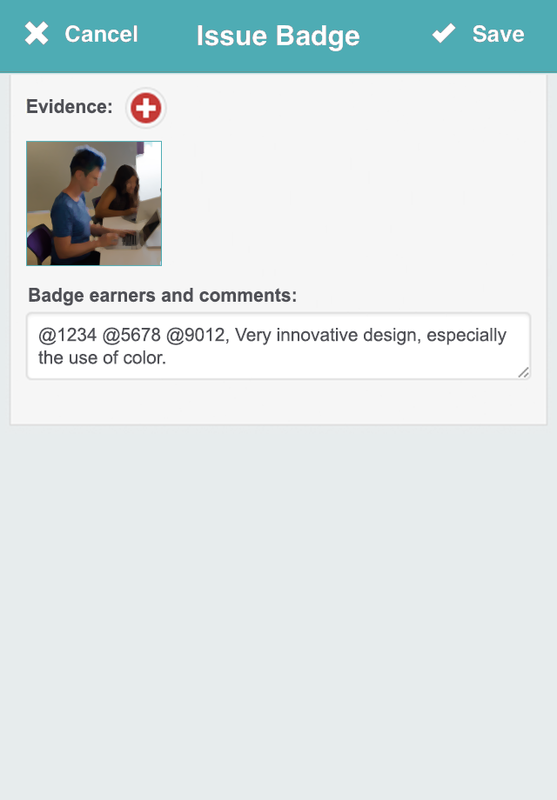 Harness the Power of Advanced Badges. 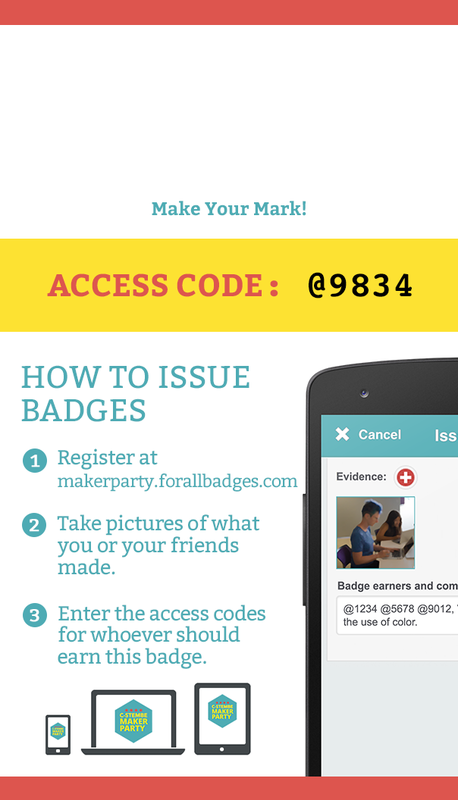 Create self- and peer- issued badges. 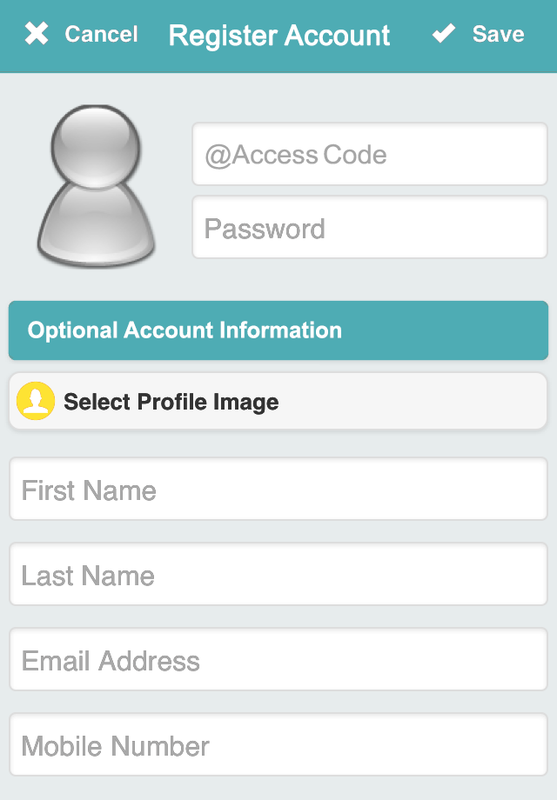 Allow the badge issuer to customize the badge description, criteria or image on the fly. 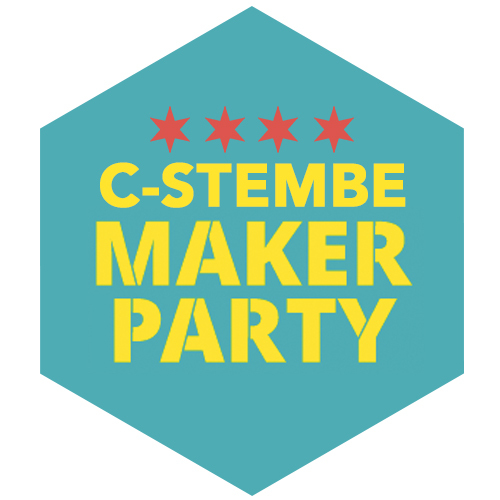 And also, it is FREE for Teachers!!! 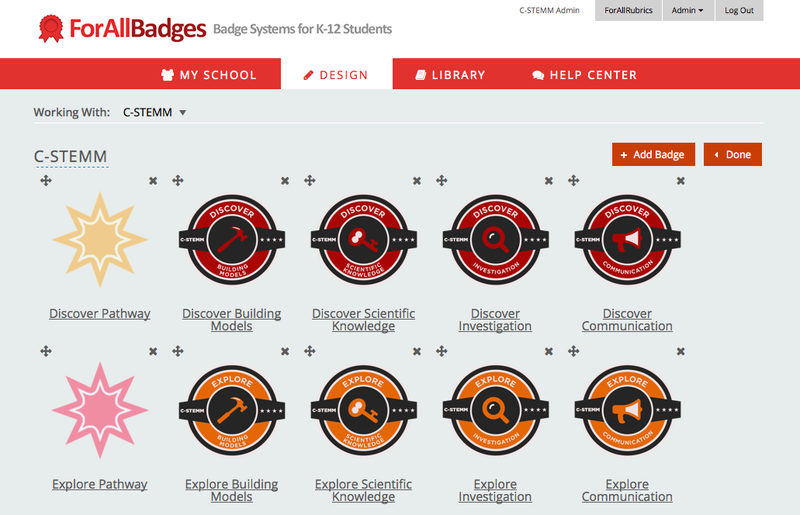 Why are Badges for School-Age Learners Different? I just finished watching the video of the fantastic second live session for the MOOC Learning Beyond Letter Grades. The panelists Sheryl Grant, Jonathan Finkelstein and Sunny Lee present an excellent introduction to Open Badges and the reasons that we at Forall Systems are so enthusiastic about the Open Badge movement. The panel got me thinking about some of the ways that badges are different for school-age learners. 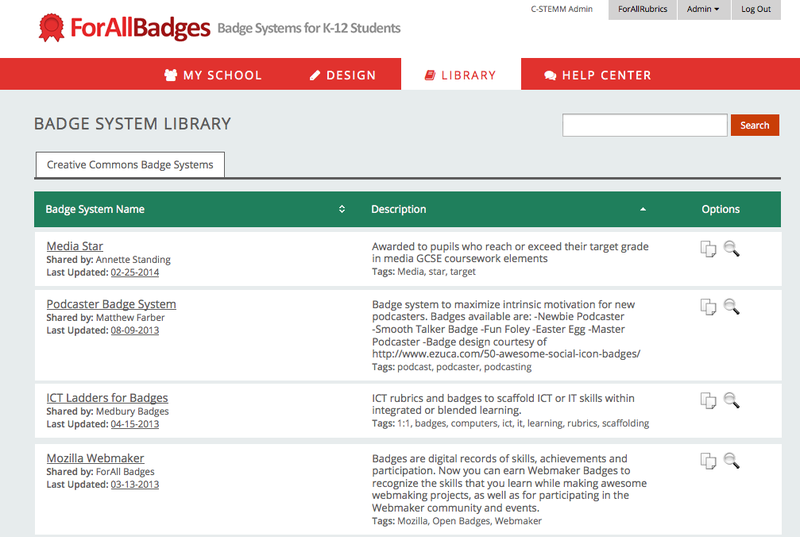 For most learners, the main focus of Open Badges is to “Get recognition for skills you learn anywhere.” Inherent in the idea of getting recognition is the assumption that badges can open up opportunities and the viewer/evaluator of a badge will be a potential employer, a university or colleagues. 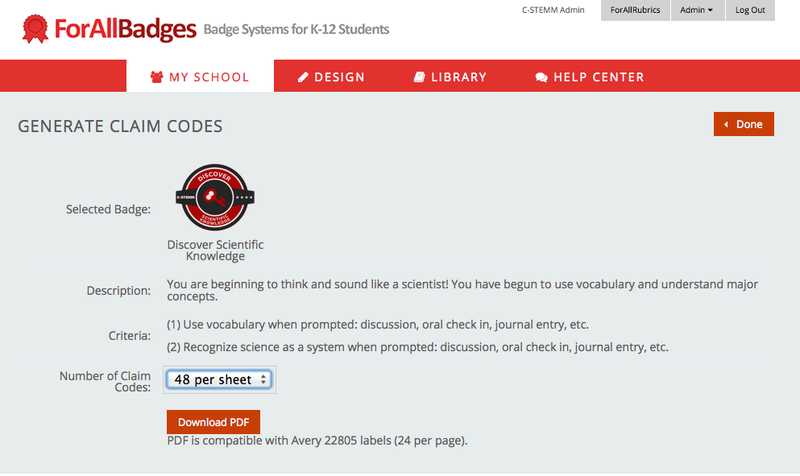 In developing ForAllBadges, we have been interested in thinking about badges for kids as a tool for supporting learning. In a perfect world, learning opportunities are not a limited resource and children don’t have to compete for access. During the live session, I jotted down some of the ways that thinking about badges as a tool for learning changes how badges are designed, issued and displayed. The most important evaluator of badges for learning is the learner themselves. Badges can provide the framework for learners to reflect on their learning experiences and plan for future learning activities. Teachers and parents can use the badges to help support learning, but ideally the learner takes ownership of their own learning process. Authentic assessment and the evidence associated with the badge is often more important than the badge itself. A video of a science fair presentation or an essay often has more value than the badge or evaluation rubric associated with it. Badges for learning are inherently lifelong. For a seven year old, their third place finish in the 2nd grade science fair at their elementary school is an accomplishment to be proud of. Ten years later, when they’re applying to university, the badge itself isn’t worth much. However the evidence associated with the badge provides an opportunity for the young adult, in writing their application essay, to reflect on their lifelong interest in ecology and include a quote or video from their 7 year old self. In many ways, these authentic assessments become more valuable as life goes on. Badges can provide the structure for effectively reflecting on progress. Fundamental skills are often a lifelong pursuit. For example, writing well is something that all of us can always improve on. By presenting a timeline view of badges that are aligned with the Common Core Anchor Standard CCSS.ELA-Literacy.CCRA.W.1, learners can reflect on their progress over time in learning to write strong arguments. 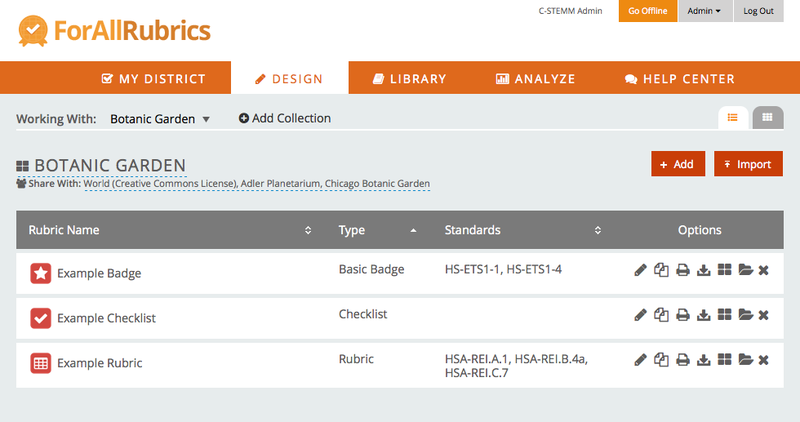 The badge and the standards alignment provide the structure to display the authentic writing samples in a meaningful way. Badges can provide the structure for discovering learning opportunities. 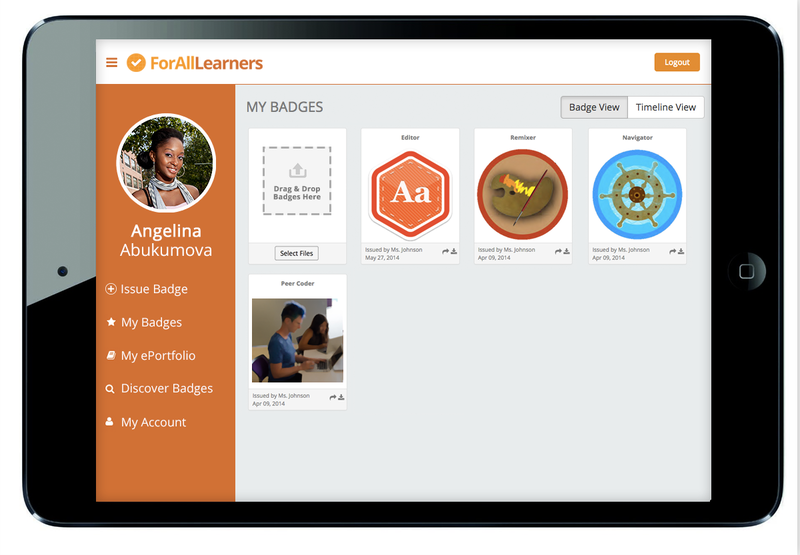 A badge displayer such as Badgopolis can provide a view of learning opportunities that relate to the learners previous interests and also present information about how to access those opportunities. 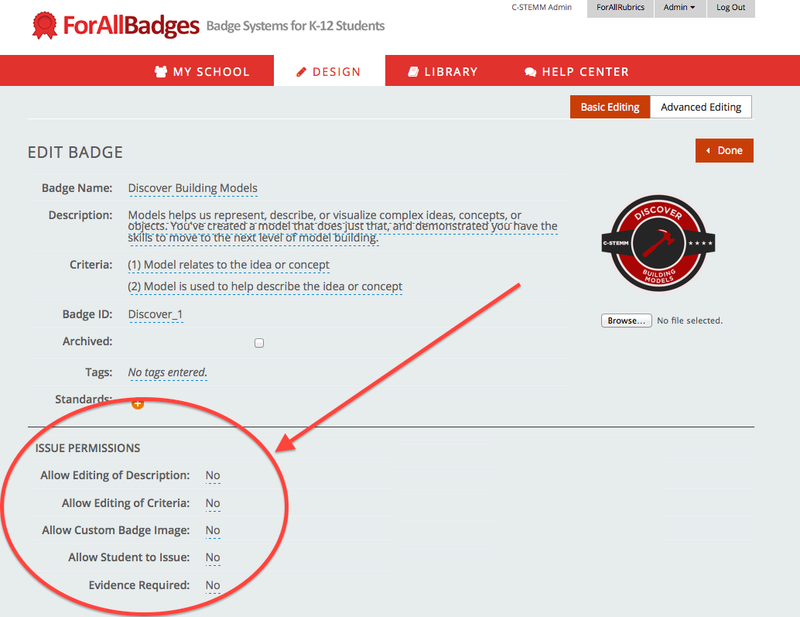 Of course this approach of designing badges for learning is not only applicable to school-aged learners and is a perspective that can also be valuable in other circumstances. If you’ve gotten this far, thanks for reading my thoughts! Please share your you ideas too. This is a fascinating topic and is only just starting to be explored.